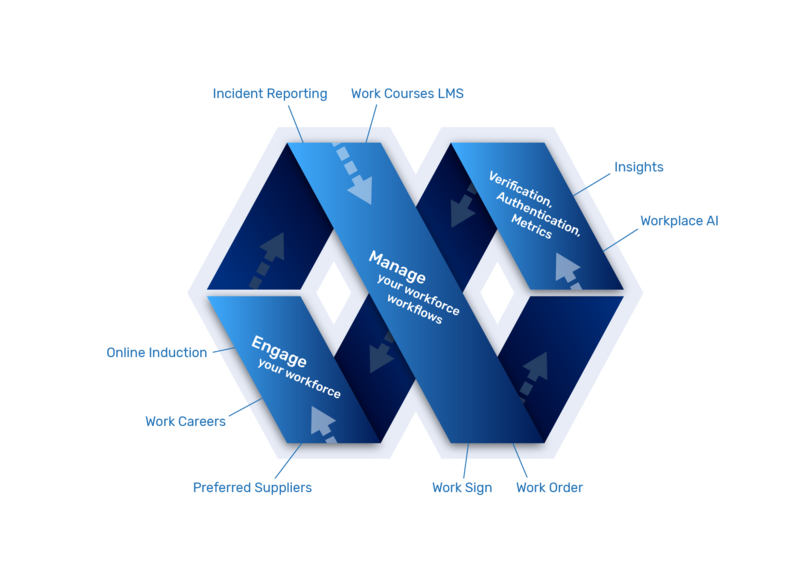 It all starts with our workforce software suite to engage and manage contractors, employees, visitors and suppliers using our two most popular products: Online Induction Software and Incident Reporting. Used by HR managers, Safety managers, facility managers, project managers through to volunteer leaders, hotel managers and event organisers. Anyone who needs to engage and manage contractors, employees or visitors into a work place or organisation. Powered by our family of workforce software tools such as our artificial intelligence (AI) powered tool 'Workplace AI' you can get metrics and insights anywhere, anytime, 24/7, with no app and nothing to download. Get high-level information or drill down into more detail. Email or SMS our AI and get instant answers and metrics.